Baseball fans have their season opener. Alaskan fishermen have the return of king salmon and T.V. junkies have The Walking Dead. All of us have something we eagerly await each year and for mountain bikers, it usually shows up in the form of their favorite downhill bike park or high-mountain trail. Here in NorCal, we have Downieville. Mile after glorious mile of old mining and moto trails that have been adopted by mountain bikers. The trails are raw and generally best ridden from top to bottom after shuttling to the top. For six months of the year the shuttle services shut down due to snow and trails go silent except for the adventurous souls who climb up to the snow line and descend back down. If Downieville trails are the veins of this community and mountain bikers are the blood then the shuttle services are most definitely the heart that keeps this region pumping and alive. Every spring the NorCal forum begins to buzz with questions like “When are the Downieville shuttles starting up?” or “Is Packer Saddle clear of snow yet?” Sometime around early May to early June the shuttles start running again and all is right in the world, of NorCal mountain biking anyway. 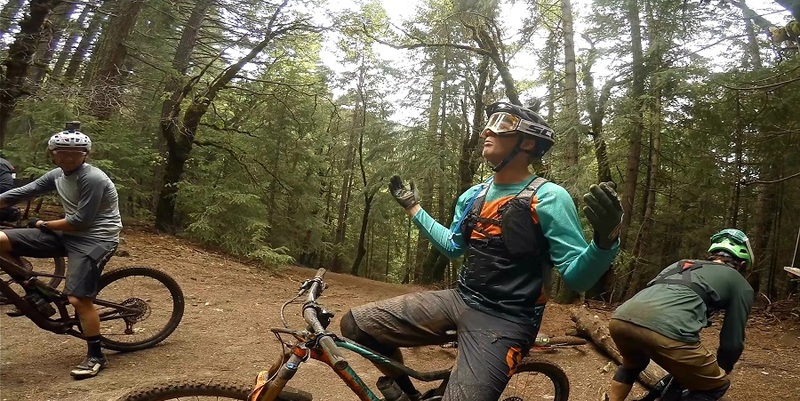 The Trail Peek boys and a crew of notoriously fast locals hit Downieville this year for the season opener and the result was some of the fastest and rowdiest riding I’ve ever seen on these trails.